A recent wave of violence has sent the tropical nation into a tailspin as Sri Lanka continues to struggle with post-war reconciliation. Kandy is a city in Sri Lanka that is home to roughly 100,000 people. It is nestled in the hills of the tropical country, lush with religious relics and tea plantations. It is also the birthplace of recent anti-Muslim riots that have thrust the country into a 10-day state of emergency. The riots—which began after a man from the Sinhala majority who died from injuries sustained after he was attacked by a group of Muslims last week—left three people dead and nearly 200 Muslim businesses and homes destroyed, as mobs thundered down the streets. Eleven mosques were attacked. In response, the government shut down social media sites in what it says is an effort to prevent the mobilisation of mobs, while troops and security personnel were sent out to patrol the streets. But several reports claim the forces stood by mute as attacks were conducted. These incidents are symptomatic of a wider issue that has an undercurrent of racism and nationalism running through it. And, there’s that 26-year-long civil war that continues to cast a long shadow over the country. There was a war for almost three decades? Yes, and the roots can be traced back to when Sri Lanka was under British colonial rule. Before we go on, let’s take a look at Sri Lanka’s ethnic makeup. Sinhala Buddhists are the majority, making up 74.9 percent of the population; Tamils are at 11.9 percent and Muslims represent 9.3 percent of the population. When the British granted Sri Lanka its independence in 1948, they handed most of the political power to the minority Tamils. Nationalists were unhappy with this move, saying it threatened the nature of Sri Lanka’s Sinhala Buddhist identity. But when Sinhala was made the national language in 1956, non-Sinhala speakers were pushed aside and excluded from public service. It is estimated that 700,000 Tamils lost their jobs. It also limited educational opportunities for Tamil students looking to attend university. Dissatisfaction festered as Tamils felt increasingly marginalised by their own state. This eventually led to the rise of political and military movements demanding an autonomous Tamil state. This is where the Liberation Tamil Tigers of Eelam (LTTE) joined the fray, connecting and capitalising on grievances, and becoming the strongest rebel group. LTTE leader Vellupilai Prabhakaran sought a Tamil homeland and self-determination, but said “once these fundamentals are recognised, and if the people are satisfied, we will consider giving up the demand for Eelam," during a press conference in 2002. But it was in July 1983 that a full-blown civil war broke out between the government of Sri Lanka and the LTTE. The LTTE ambushed an army convoy on July 23 in the northern city of Jaffna, killing 13 soldiers, and triggering a massive anti-Tamil pogrom—commonly known as “Black July". Tamils were hunted down, burned alive in cars, stripped naked and women were raped. Over the course of seven days, scores of people were killed. Reports put the number between 400-3,000 people. The LTTE were just as ruthless. “The Tigers were capable of great brutality, carrying out many more suicide attacks in the 90s than any Muslim group, and assaulting rival Tamils as pitilessly as they attacked Singhalese institutions,” wrote William Dalrymple for The Guardian. In 2005, Mahinda Rajapakse was elected president. He stepped up the campaign against the LTTE, looking to bring a conclusive end to the war. In May 2009, he did exactly that, but not before 100,000 lives had been lost over the span of 26 years. 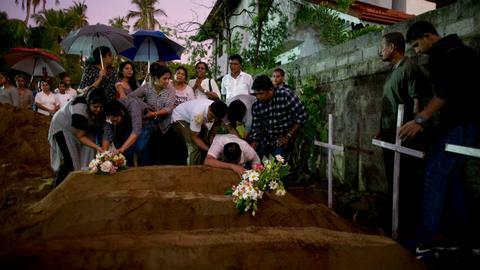 Shortly after the end of the conflict, Rajapakse’s administration was hit with a slew of war crimes allegations that claimed that Sri Lankan armed forces and the LTTE shelled designated “safe-zone” areas for civilians. During Rajapakse’s time in power, journalists were attacked, forced disappearances were popular and dissidents were jailed under the draconian Prevention of Terrorism Act of 1978, adding to his rapidly blemishing international image. How have communities healed after the war? Armed forces are alleged to have taken Tamil land, while the northern areas remain poorer than the rest of the country and are concentrated with a high number of war widows. Nine years on, there are still families waiting to hear back from their loved ones—sons and daughters who were either last seen with security forces or pushed into white vans never to be seen again. Families still hold protests demanding answers. They feel forgotten. The current government insists it needs time to navigate tricky domestic politics before any change can come. The attempts of Rajapakse's government to push harmonious relations with Tamil society were feeble. The Lessons Learnt and Reconciliation Commission (LLRC) was an effort to address the grave human rights violations committed during the final leg of the war, promote healing and provide justice. But many complain that it fell short. “(LLRC) disregards the worst abuses by government forces, rehashes longstanding recommendations, and fails to advance accountability for victims of Sri Lanka’s civil armed conflict,” Human Rights Watch said. And history, dangerously, seems to be repeating itself. In this post-war era, waves of anti-minority sentiment have risen and fallen—manifesting themselves as violent attacks on Muslims and Christians in 2014. 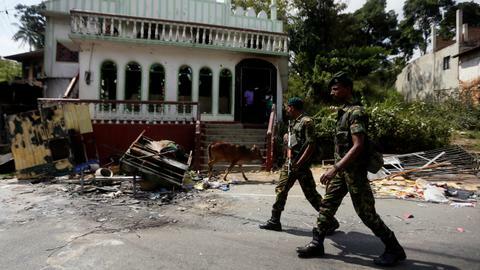 The recent attacks in Kandy and Digana were similar. Shouldn’t Sri Lanka have learned something from all of this? And this is why the recent wave of violence is worrying. Perhaps, the lessons that were learned were not about reconciliation—victory in the civil war empowered certain sections of Sinhala Buddhist nationalists to act out. “My argument about the current anti-Muslim campaign draws on understanding the manoeuvre of the Rajapaksa regime, including the centre stage given to Sinhala Buddhist nationalism during the war, the projection of triumphalism after the war and the major push towards neo-liberal development as a solution to the political and economic problems in Sri Lanka,” Sri Lankan academic Ahilan Kadirgamar explained. 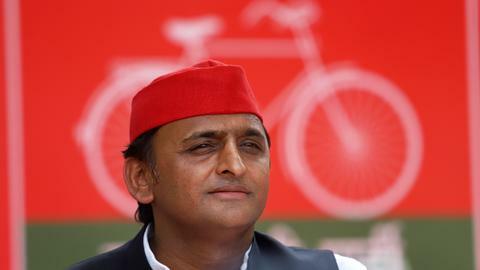 Critics have also pointed to an ancient epic called the Mahavamsa as a motivating factor behind the nationalism. Also known as the Great Chronicle, it maps out the origins of Sri Lanka’s birth, tying it closely to Buddhism and asserting that the Sinhalese established civilisation on the island. Despite debate over the historical accuracy of the epic poem, it is taught in schools as part of history lessons, reinforcing rhetoric that promotes the protection of Buddhism, buttressing nationalist claims. “Yet the accounts contained in the Mahavamsa have dominated the consciousness of the Sinhalese majority and have formed ‘an important aspect...of political socialisation in contemporary Sri Lanka,'” the report Confronting the Complexity of Loss by Gehan Gunatellike said. And that attitude has been pervasive. ”There are longstanding and deeply-rooted fears among many Sinhalese that the Sinhala and Buddhist character of the island is under threat and must be protected, even to the extent of using violence,” said Alan Keenan from the International Crisis Group. The Muslim community’s success in business and trade, along with the spread of fake news on social media—one particular claim alleging that Muslim shop owners were adding infertility pills to food meant for Buddhist customers—have also helped fuel nationalism. What does this mean for Sri Lanka? 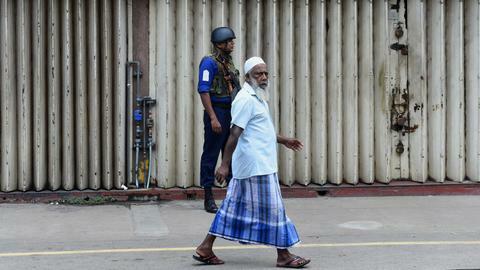 Sri Lanka’s war has ended, but the issues that triggered it have not. All of this being said, minorities are not powerless. President Maithripala Sirisena came into power on the back of huge support from Tamils, Muslims and Christians who were feeling increasingly marginalised under the Rajapaksa government. Minorities have also played a huge role in Sri Lanka’s politics through the development of ethnocentric parties. But most of Sri Lanka’s minorities now feel exasperated and disappointed with the current government’s lack of a clear stance and its inability to protect them. The recent anti-Muslim violence has worried ethnic minorities who feel they may no longer have a home in the place they were born. The current administration is fractured and considerably weakened, analysts say. The governing coalition lost a local election last month, while Rajapakse made considerable gains. “It's come at a very difficult time when already there was confusion about a lot of the key, central aspects of government policy. So, it's going to be a challenge for the government to speak clearly with one voice and to begin to address all of the problems,” Keenan told TRT World.